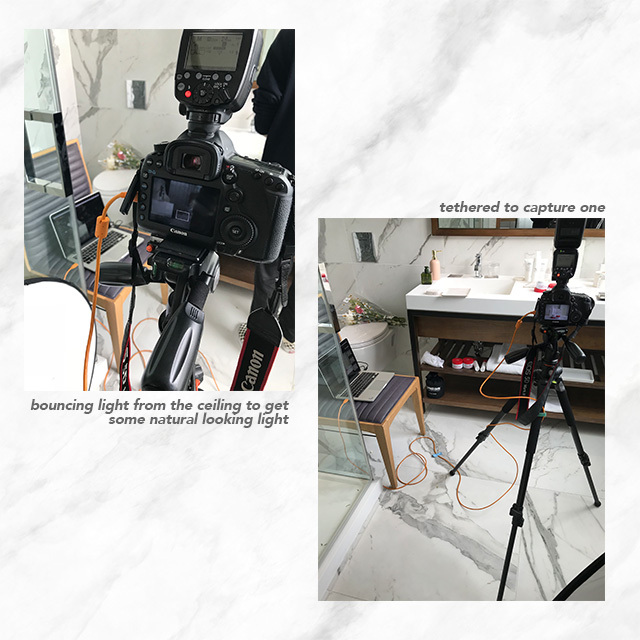 Always a good time to be back on set with Chuda Skincare. This was our second time working together and this time we wanted to get a few more environmental still life shots incorporating the products in a lifestyle setting. 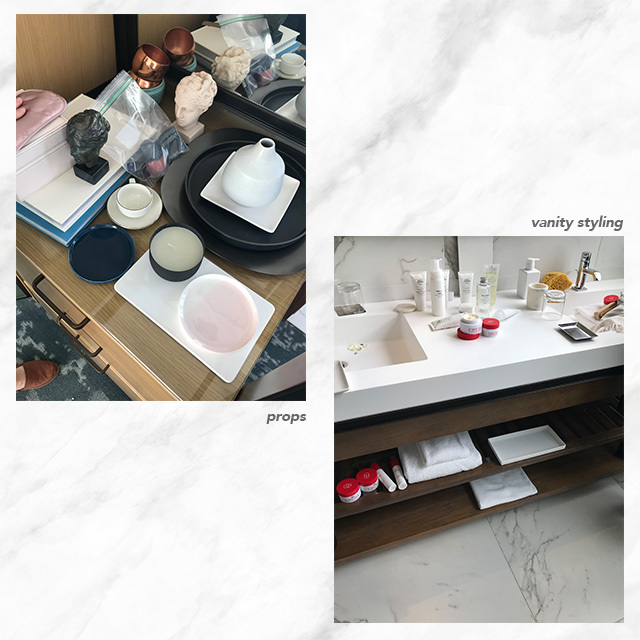 We worked out of a hotel room that had plenty of marble vanity space and decor that matched their branding. Here's a look at the finished work! Made it work with some pretty tight corners in the bathroom.